I do love Easter. And this year seemed to be the best one yet. We read this with the kids during the Lenten season and it was great to be able to talk about the true beauty of Easter. Also, this past week, I found my way back to my sewing room. 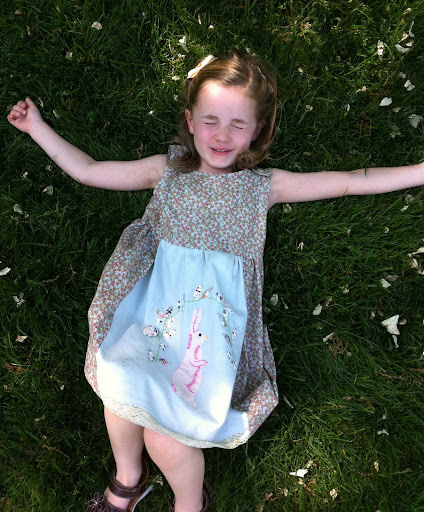 In true Amy fashion, I had waited until the last minute to make an Easter dress for Lucy. 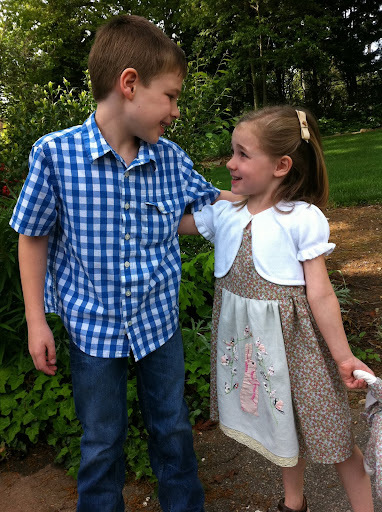 And even though I procrastinate, I find such joy in making her Easter dress each year (This and this were two of my faves). 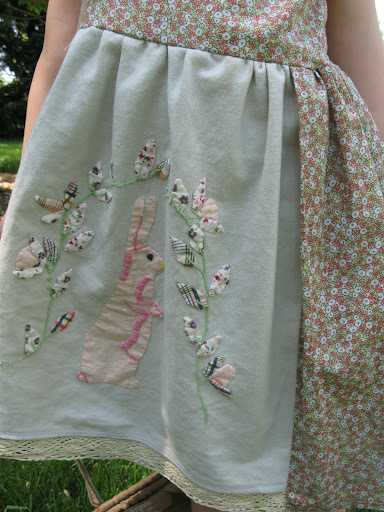 A few years ago I bought this bunny tea towel at Anthropologie. I knew I wanted to make something for Lucy with it, I just hadn't found the perfect project. I pulled it out a few weeks ago and decided to use it for something soon. I was contemplating an Easter apron. 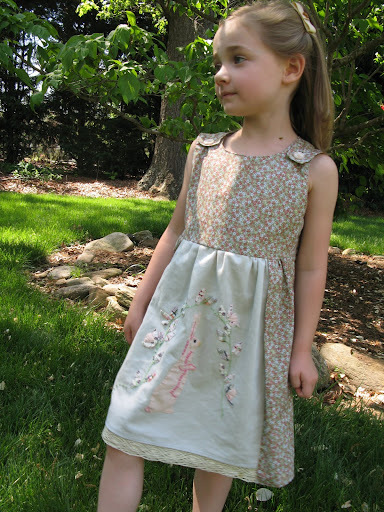 While looking for a pattern for her dress, I came across this one and knew it would be perfect. I was even more excited to get home and find that I had the perfect fabric to match the towel. 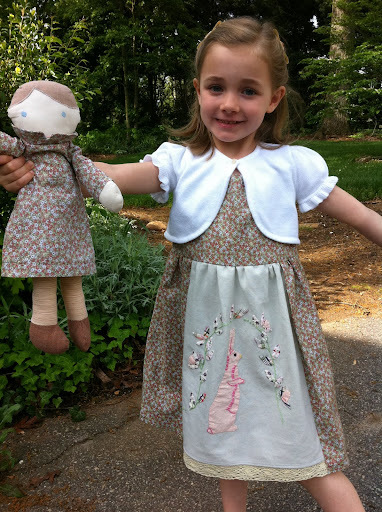 It was fabric I had left over from making this doll for Lucy several years ago. And how perfect to have a matching doll on Easter! There was much fun with dyeing and hunting of eggs and candy making this weekend. I hope your Easter was splendid as well! Missed you on here, glad to see you back! Cute family picture, glad you had a nice Easter. man that is one good looking family! love the dress! Lucy's dress is adorable. I love the fabric you chose and it goes perfectly with that tea towel. What an awesome dress! I want one! I love the matchy matchy on the doll. How great! I bet she loved it.